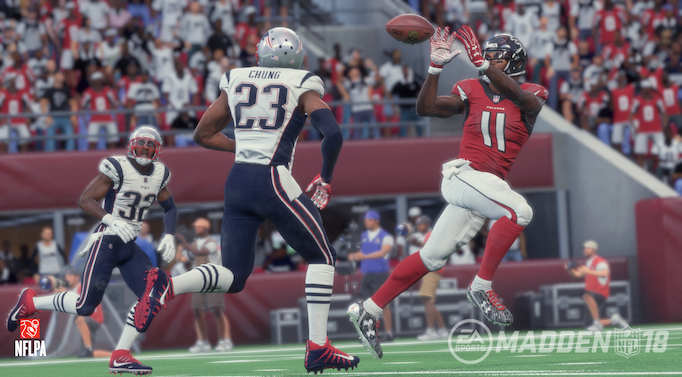 It's the first time Madden 18 powered by the Frostbite engine, EA industry's leading game engine that worked wonders with FIFA 17 last year. Madden NFL 18 brings a couple new modes to the series. One is called Longshot, and covers the the story of Devon Wade, a former college star who dropped football, but gets the chance to make his way back into the NFL. Another new mode comes in Madden Ultimate Team with MUT Squads. Madden NFL 18 have Ultimate Team, a cracking mode for diehard lovers of the spot keen to take their gaming online. You have to build up your ultimate fantasy team with the use of player cards and there’s tons of multiplayer gaming to be had to be online rivals and create a cracking football squad. They've also introduced team-based web gaming this year, with three pals joining forces to take it in turns as coach or offensive and defensive leaders to make it feel like you’re really involved in team based play. In MUT Squads, three players can partner with their respective Ultimate Team decks and craft their own football team. In games, all three players can take full control of a player, choose and run plays and more in three minute quarters. This mode keeps the action fast paced and engaging, and is a ton of fun when playing with people you know. Ultimate Team is really fun in its own right, and it's a place where people bring other people in and share these experiences, and share these cards that they rip and all that.